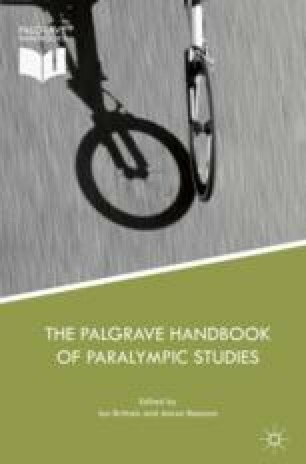 Over the past half-century, the evolution of Paralympic sport has exponentially increased opportunities for elite sports competition for athletes with disabilities while revolutionising conceptual frameworks about sport and disability. Despite the rapid growth of the Paralympic Movement, women and athletes with high support needs (AHSN) have remained underrepresented. Both female athletes with disabilities and AHSN have historically faced distinct barriers to sports participation and underrepresentation at elite levels of competition in Paralympic sport. Nonetheless, social and cultural trends promoting inclusion, such as increased visibility and grass-roots opportunities for sports participation, have contributed to an overall increase in participation by athletes in both groups. New areas of Paralympic sports research are needed to inform future strategies that maximise inclusion while ensuring elite sports competition. Boccia International Sports Federation. 2013. Boccia Classification Rules. 2nd ed., May. http://www.bisfed.com/wp-content/uploads/2014/01/BISFed-Boccia-Classification-Rules-2nd-Edition-2013.pdf. Accessed 20 September 2015.
International Wheelchair Rugby Federation. 2015. IWRF Classification Manual. 3rd ed. Revised 2015. http://www.iwrf.com/resources/iwrf_docs/IWRF_Classification_Manual_3rd_Edition_rev-2015_(English).pdf. Accessed 20 September 2015. Rio2016 website. 2013. IPC Announces Medal Event and Athlete Quotas for Rio 2016™ Paralympics, July 5. http://www.rio2016.com/en/news/news/ipc-announces-medal-event-and-athlete-quotas-for-rio-2016-paralympics. Accessed 20 September 2015. UN General Assembly. 2006. Convention on the Rights of Persons with Disabilities, 13 December 2006, A/RES/61/106, Annex I. http://www.refworld.org/docid/4680cd212.html. Accessed 13 September 2015.